Super excited to share this amazing new cover by RYAN JOHNSON for Variety Magazine! 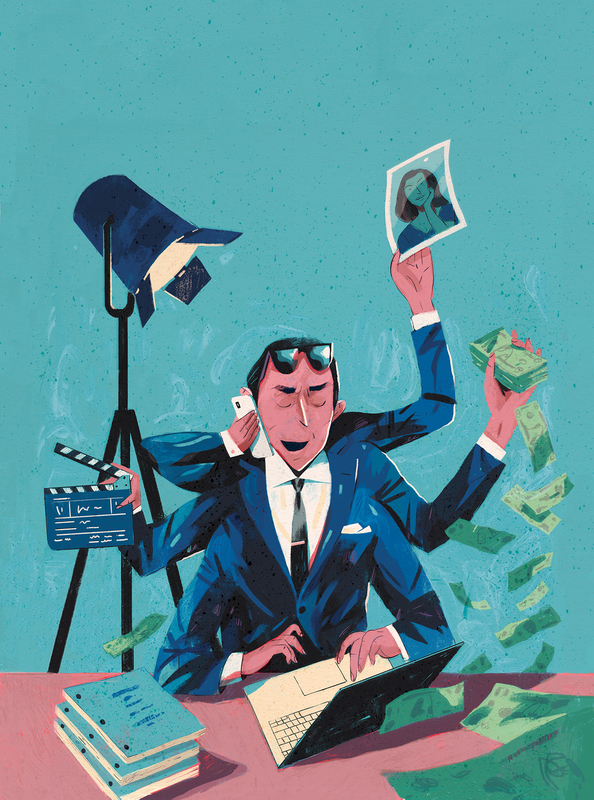 The feature article called “Talent Agencies Face Conflicts of Interest as Parent Companies Storm Into Production Arena” is about how Hollywood agents are aggressively moving into production. This play by the agents is full of “conflicts of interest that arise when the same company represents the creative talent on one side of the table and is the employer on the other. The practice, known in industry jargon as double-dipping, was expressly banned by the Screen Actors Guild for nearly 60 years.” Curious to see whether this will continue and whether the agents will continue to be “double-agents.” Huge Kudos to Chuck and Robert for featuring an illustration on the cover, we’re definitely ready for a illustrated covers come-back!